In their latest report, Max Keiser and wife Stacy Herbert kick off by discussing a recent note by JPMorgan to its clients. One of the most corrupt institutions of our time proclaims that cryptocurrencies would only have value in a ‘dystopian economy’ in which investors had ‘lost all confidence in all major reserve assets.’ Max, naturally, fights back. The statement from the bank partially responsible for the 2008 financial crisis fails to pick up on the irony. The value of Bitcoin today reflects the level of ‘dystopianism’ that we are currently experiencing… JPMorgan and other banks are rogue banks that are committing massive fraud and they’ve got the central banks on behalf of us, the taxpayers, to print lots of fiat money to bail them out even though it means that the overall wellbeing of society is being destroyed. We already know how highly Keiser holds JPMorgan and Jamie Dimon in his esteem. “Always have at least 90% of your port in Bitcoin. Anything less and you’re undermining Bitcoin’s ability to defeat fiat. Leave alts to dickheads like Jamie Dimon,” he told Bitcoinist last December. Keiser then made a reference to the Yellow Vest protests in France. Despite the image circulating the web of one protester wearing a sign saying “Buy Bitcoin,” they may not be about the cryptocurrency at all. However, the protests do reflect deep-seated social unrest caused by rising inflation. And the fact that it’s the same old story on repeat. The rich get richer and the poor get poorer. It’s not a phenomenon limited to France, or even developing countries in Latin America or Asia, either. According to the Federal Reserve, in the United States, younger Americans have earned less over the last 30 years. The older ones, on the other hand, earn more. Pouring scorn on the World Gold Council report that claims to prove that Bitcoin is not a safe harbor asset and is no substitute for gold, Keiser vehemently disagrees. To really get Satoshi’s vision, it’s peer-to-peer gold… that’s what Bitcoin accomplishes, that’s what Bitcoin is, fight me on this, go ahead, but you’re wrong. He also went on to say that Bitcoin as digital cash was “negligible,” but that as digital gold it was world-changing. #Bitcoin as unparalleled digital Gold is world changing. Bitcoin as ‘digital cash’ is negligible. This tweet provoked plenty of reactions, from people claiming that Bitcoin’s very function was as digital cash and that it was a peer-to-peer electronic cash system. And others questioned whether Keiser was drunk or if his account had been hacked. But they should expect that from the eccentric, outspoken Bitcoin evangelist by now. Max Keiser is nothing if not controversial. Do you agree with Max Keiser that Bicoin is P2P gold? Share your thoughts below! 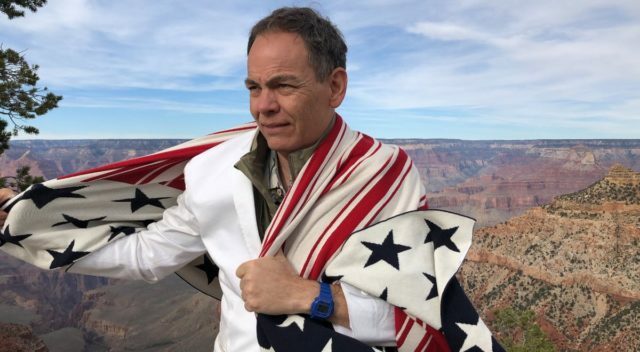 The post Max Keiser: ‘Bitcoin Is Peer-to-Peer Gold… Fight Me’ appeared first on Bitcoinist.com. Milano Sikkema has extensive experience in business organization, risk analysis, contract negotiation and drafting, and dispute resolution through consensus building. She works to promote bitcoin and cryptocurrency use and acceptance in the legal space and is focused on finding innovative ways to use blockchain technology to provide efficient, effective, independent legal services to people worldwide. Exclusive Interview with Ubecoin CEO David Wilmot.